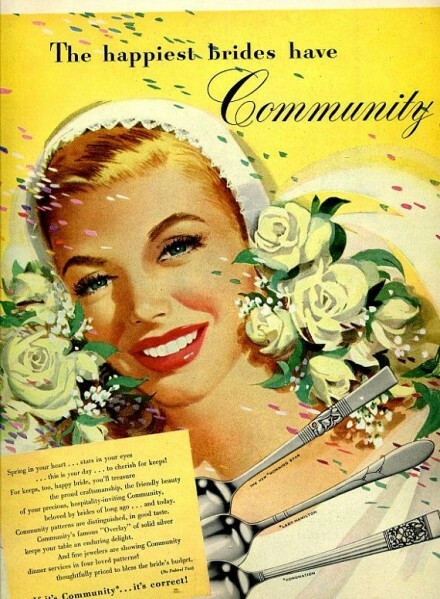 A 1950’s wedding theme is a fantastic way to spend the day, for both the bride & groom and the guests. 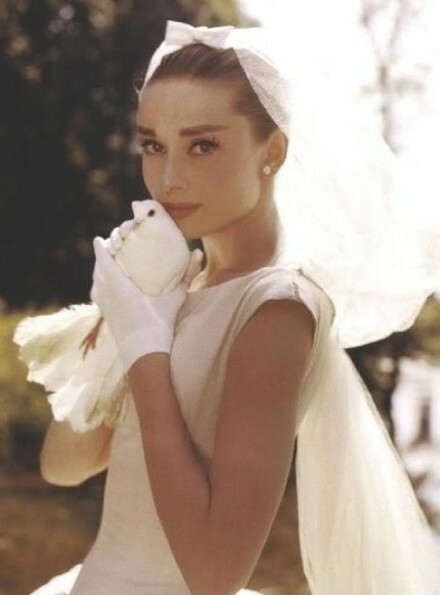 What a wonderful era to draw inspiration from when planning your nuptials. Couples wanting a 50’s themed wedding can save on funds by making all of the decorations and invites themselves and buying vintage clothing and props. The ballerina length skirts and dresses with layers & layers of tulle look beautiful in photographs. 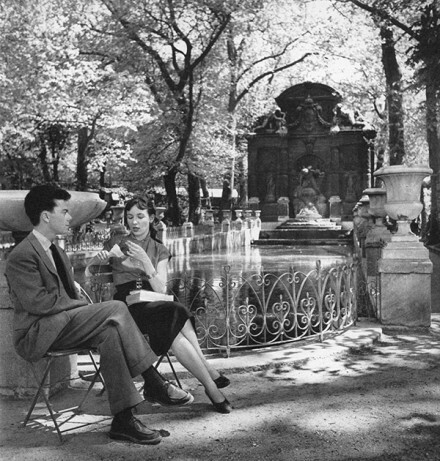 Just think of Audrey Hepburn in Funny Face. The music from that era will have everyone on the dance floor. You’ll surely have some wedding guests that remember that era fondly and will wax nostalgic about the good times they had. This era reflected a period of optimism and hope. This is an especially popular wedding theme today due to the fun and playful aspect of the era. 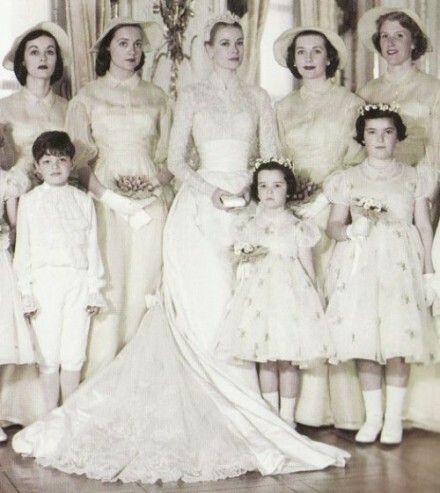 Celebrity weddings exuding high society glamour at the time included Grace Kelly, Audrey Hepburn, Elizabeth Taylor and Jackie & John F. Kennedy’s wedding in 1953. The 50’s also offered the popularity of wiggle dresses. When Marilyn Monroe married Arthur Miller in 1956, she wore a tight fitted dress to the ceremony. This style is less popular now, yet it is an elegant style that can give the wow factor if you want to show off your curves. The dress shapes from that era appeal to a wide range of figures today. These fashions are readily available in the bridal market and make perfect heirlooms. 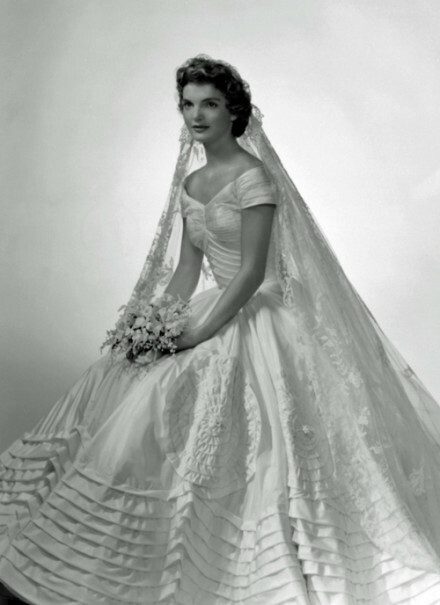 Bridal fashion in the 50’s was defined by the classic style of the day: nipped-in waists and a full skirt. Finding wedding dresses from this era are common due to the high demand during this decade. Choose a dress with lace, pearl or ribbon details to achieve a vintage look. Wearing petticoats was popular in this swinging era. Slip on dainty pumps with bows and pin a birdcage veil to your hair to complete your retro wedding outfit. Vintage clothing faires are an excellent source to find bridal attire including bridesmaid’s dresses. At our fall Vintage Fashion Faire last year, a couple attended and bought both their wedding attire in the same booth at different times. The bride to be chose an incredible, one of a kind beaded 1950’s designer quality gown for a bargain. Many of our dealers bring a selection of dresses and men’s suits that would be perfect for a vintage themed wedding. 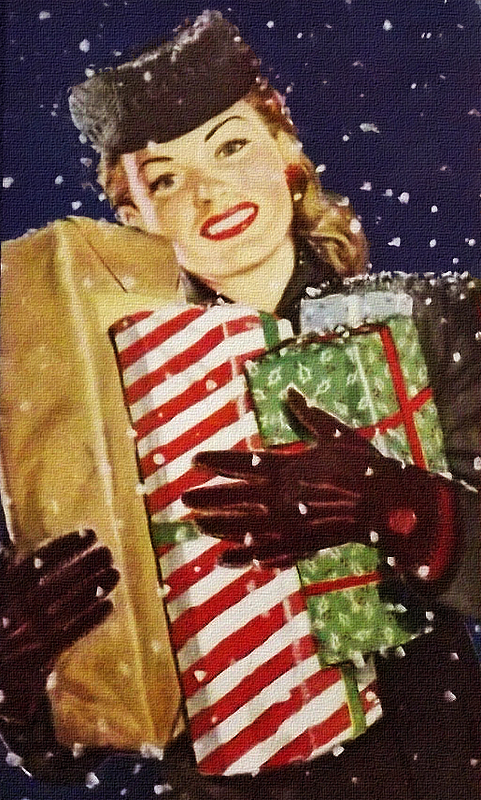 For our upcoming 2-day Alameda Point Vintage Fashion Faire, the theme for the Friday night Early Buy Party on May 15th is “Fabulous Fifties Fun”, and dealers will be bringing racks of 50’s clothes. So don’t miss out on shopping at this exclusive event. If you can’t find the perfect vintage dress in your size, I suggest finding two dresses and have them reconstructed into the perfect dream gown. 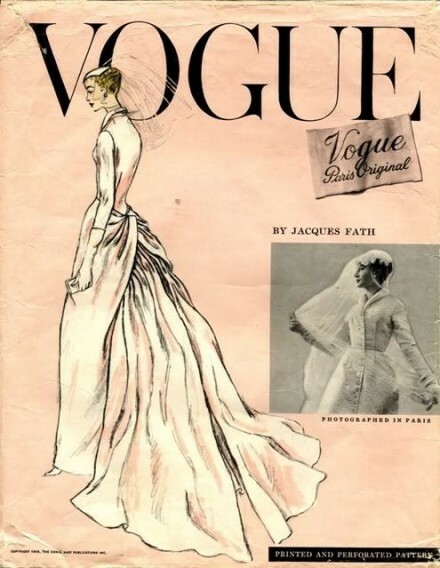 Another option is to get a vintage bridal pattern and have it made by a seamstress or costume designer. You could also add a vintage lace caplet to a sleeveless dress and take it off after the ceremony. Add playful accessories such as white gloves, pearl earrings or a vintage choker style necklace to complete the look. You can redo a sash to be in your bridal color scheme or vintage floral sprigs to a sash. Slip on dainty kitten heels with bows and pin a birdcage veil to your hair to complete your retro wedding outfit. A great way to tie in your vintage theme of choice is with little details. 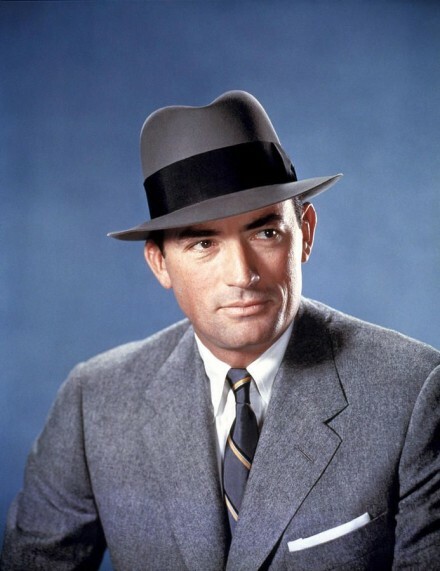 Fifties props are fairly easy to come by. Look for cultural references to inspire you and rock around the clock on your 50’s style wedding. One item could be vintage wedding cake toppers which are easy to find at the Point, and affordable. They also make a great shower gift. Draw inspiration from vintage typewriters, cars, formica, old magazines, records or anything that lets you go back in time to the 1950s. 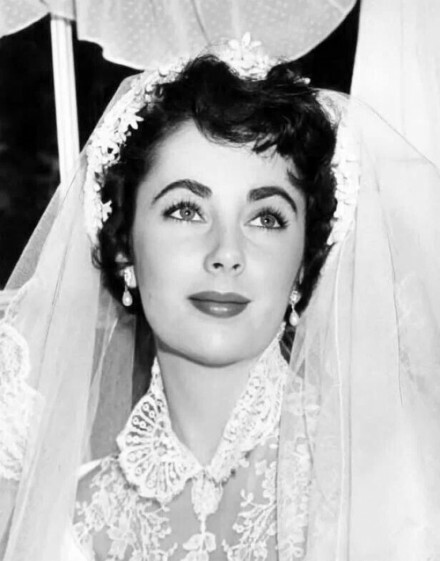 So go ahead and tie the knot in vintage 50’s style. After all, that was a time when a wedding cake was as American as apple pie and marriage the first step in achieving the American dream. Show your love for vintage and make it a day to remember.